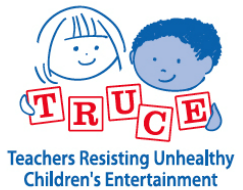 TRUCE (Teachers Resisting Unhealthy Children's Entertainment) is a grassroots organization of educators who prepare materials and provide information to help parents and educators work to counteract the harmful impact of commercial culture, media, and marketing on children's play, learning, and behavior. ​To raise public awareness about the negative effects of violent and stereotyped toys and media on children, families, schools, and society. To work to limit the harmful influence of unhealthy children's entertainment. 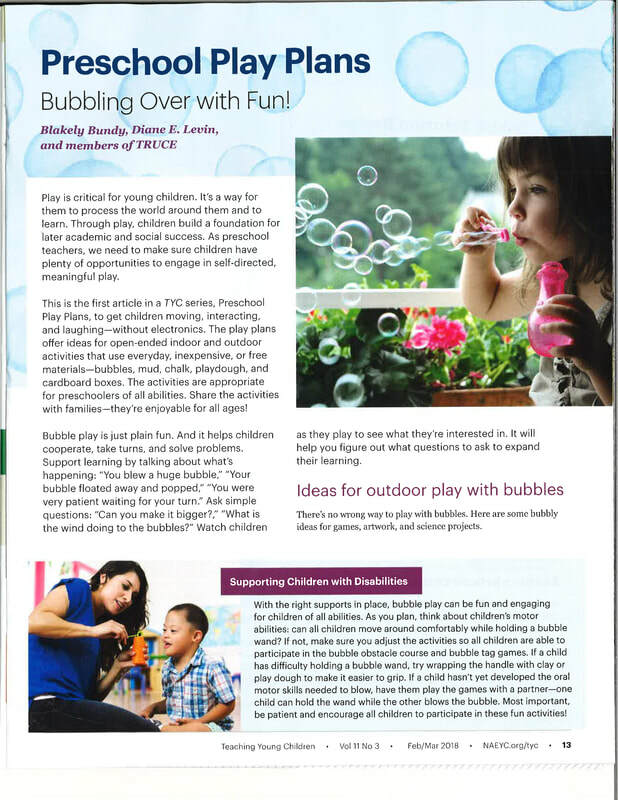 To provide children with toys and activities that promote healthy play and non-violent behavior at home and school. To create a broad-based effort to eliminate marketing to children and to reduce the sale of toys of violence. To support parents' and teachers' efforts to deal with the issues regarding media. Diane Levin Discusses Digital Technology, Parents' Role, and Learning with Young Children on Three Recent NPR Broadcasts. Find them here. Note: You may print and share any of the original material on the TRUCE website without further permission.